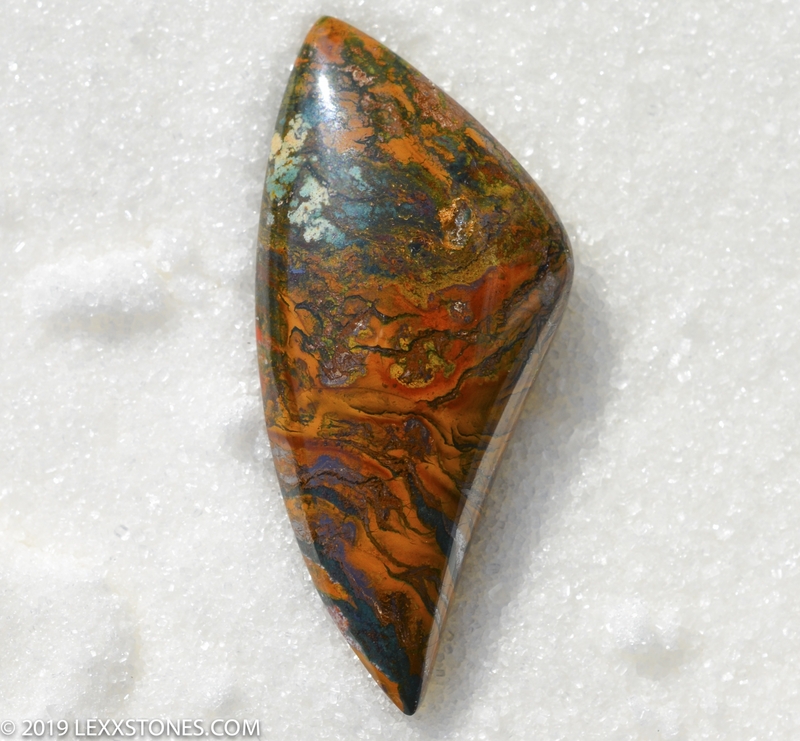 Here for your consideration is a wonderful Finferprint Jasper cabochon from Indonesia. This rare stone exhibits a wildly wonderful scenic motif of greens, yellows, orange, reds and metallic luster of Pyrite throughout. 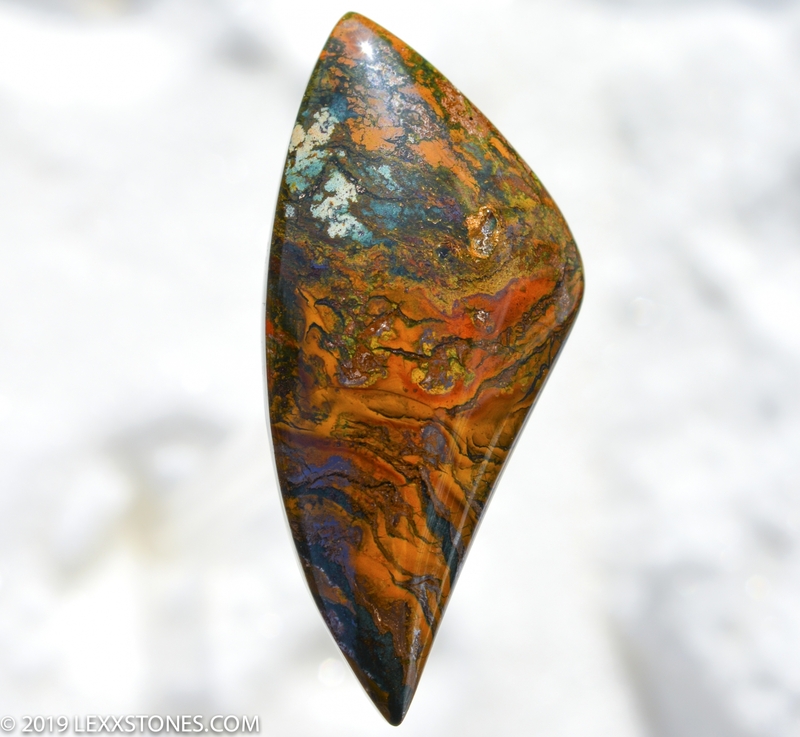 The mother stone came from Indonesia and is no longer mined.. Only 100 lbs of Fingerprint Jasper found it's way to only one importer in the United States. Standard radius dome Vitreous polish front and back. 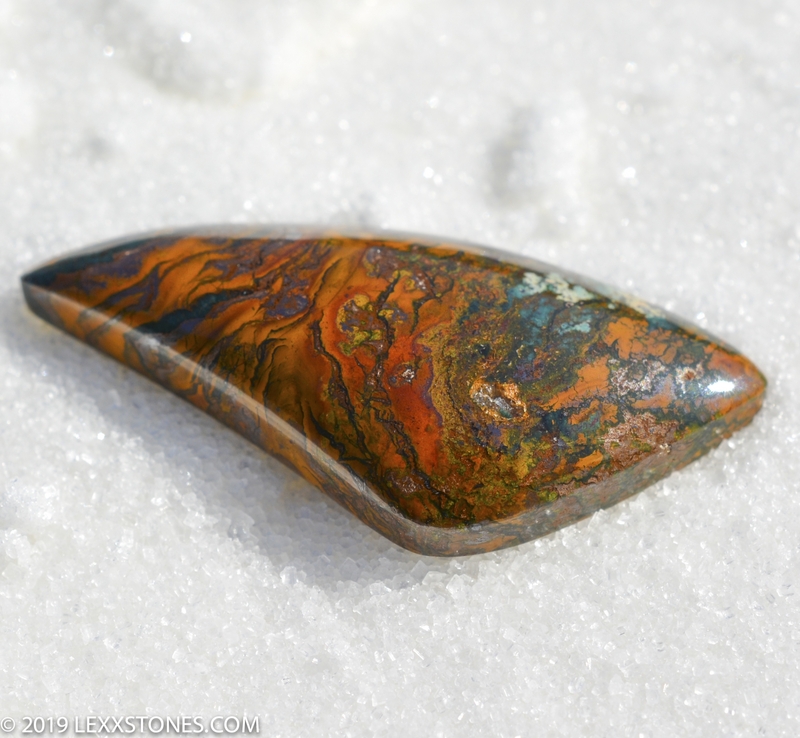 This wonderful somewhat unusual cabochon will make a terrific focal piece, either wire, wrapped, bezel set, or PMC. Quite an heirloom collectible as well. Hand cut and polished by Lexx. Photographed dry under natural dry under full spectrum LEDs and natural sunlight. Natural, untreated, “unstabilized”.